Yes, we do ship within Mexico. We use DHL. 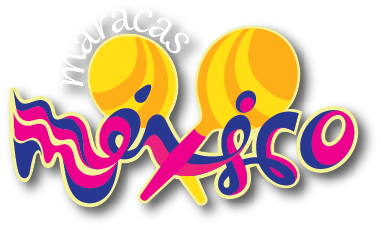 If you are ordering maracas that you need shipped within Mexico, please be aware that we will need the shipping address AS GIVEN TO YOU BY YOUR WEDDING COORDINATOR. This is because shipping addresses in Mexico ARE NOT usually the same as a directional address and we would prefer that your maracas get to you on time . Please note that YOU are responsible for the accuracy of your shipping information. If you follow my instructions on how to get the correct shipping address, this won’t be a problem. If you do not,we will not be held responsible if your maracas are shipped to the wrong address if you were the one to give us that address OR if you were the one who authorized us to ship to that address. [/apane][apane title=”Our wedding is in the Riviera Maya (Cancun, Tulum, etc.). Can we just stop by and pick-up the maracas?”]This note is for our more geographically challenged clients . We are located in Puerto Vallarta, Jalisco Mexico. I’ve noted that with a yellow star and a big red circle. The Riviera Maya, which encompasses Cancun, Tulum, etc. is on the OTHER side of the country. Think of it this way – it’s as though we were in Los Angeles and your wedding is in New York!